Glory Be! Lexington (approx. 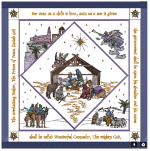 80" x 88") Andover fabrics with all over stippling and cotton backing plus two coordinating pillowcases. 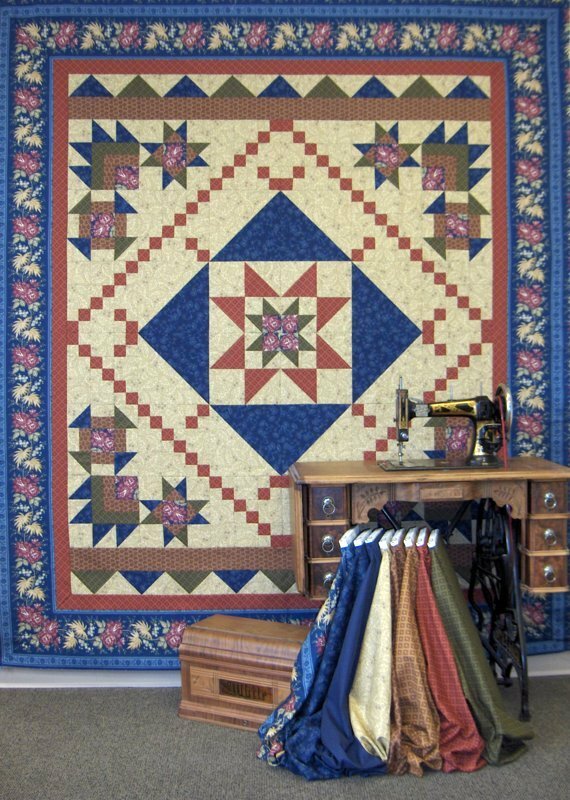 This is a gorgeous masculine quilt. Call store for payment and shipping. 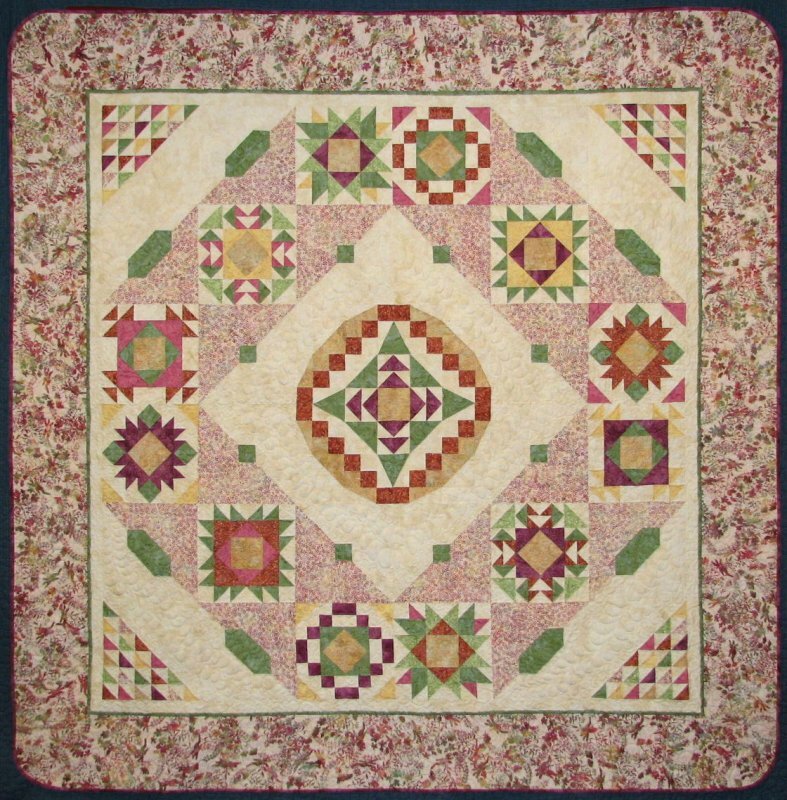 93"x93" A Season for Quilting Summer Serenity. 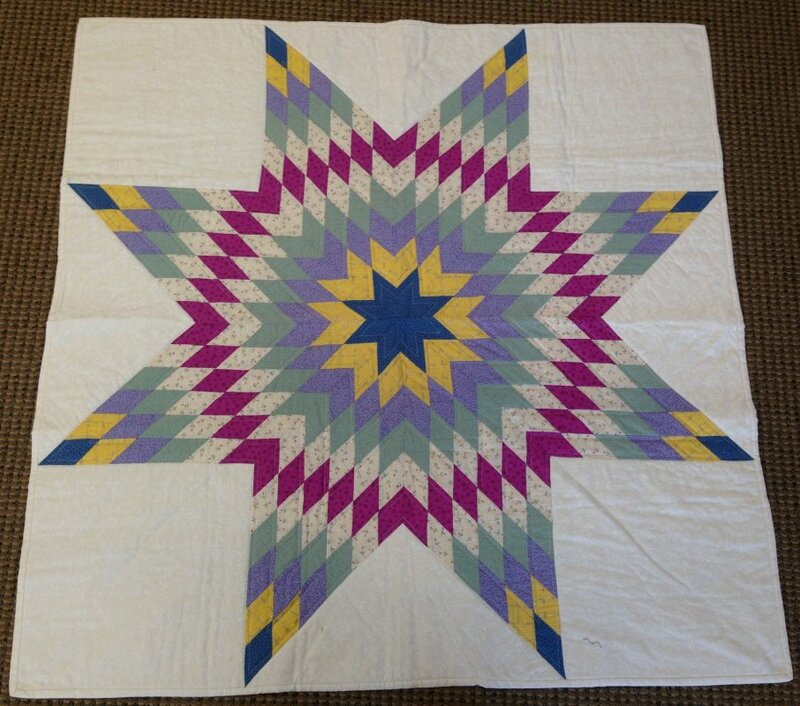 Hoffman Batiks (approx. 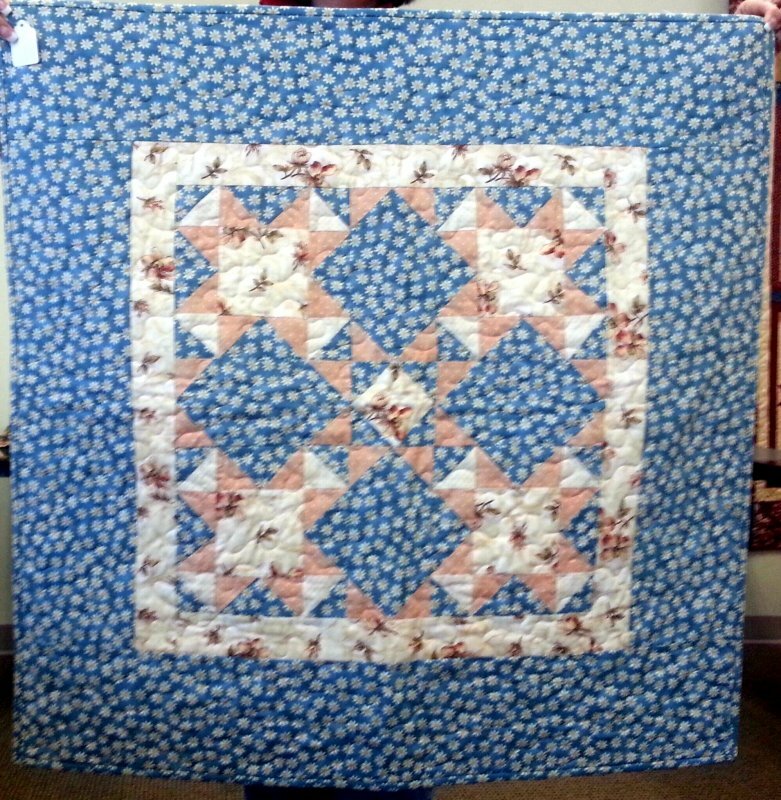 93" square) front and back and Hobbs pre-shrunk wool batting. 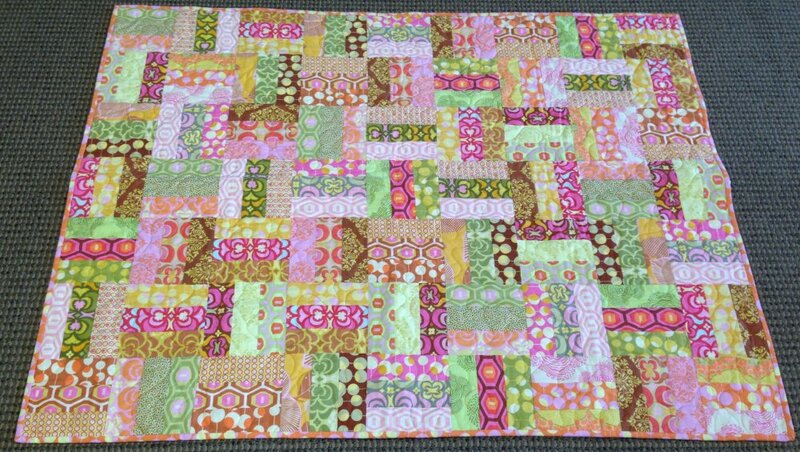 Custom quilted and has a light beautiful feel to it. 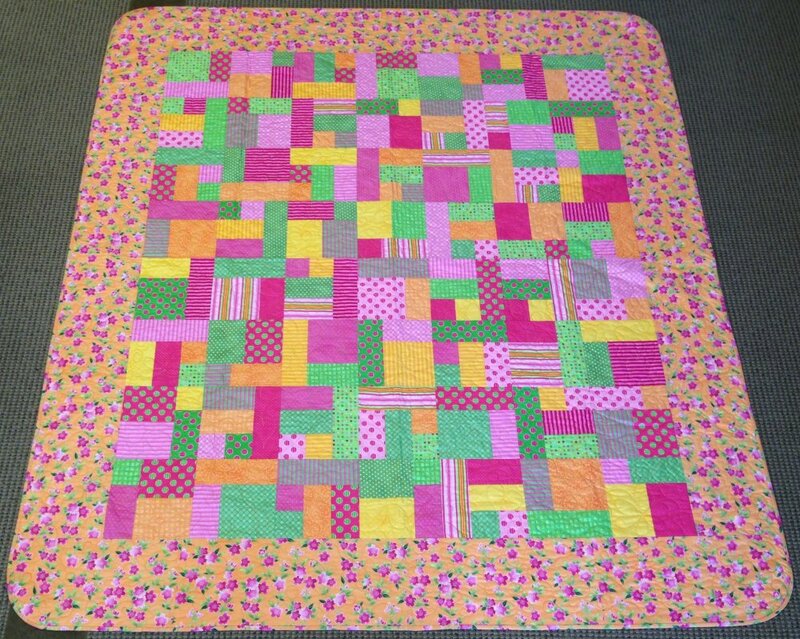 Perfect summer quilt! Call store for payment and shipping. $200 Dresden Plate (approx. 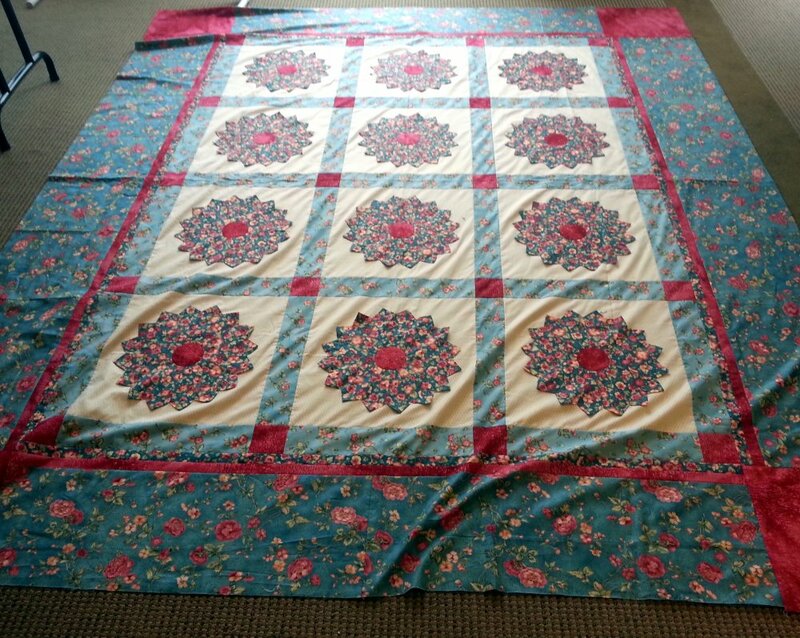 92"x107") This top is complete and comes with 2 bolts of coordinating fabric for back pillows shams. Call store for payment and shipping. 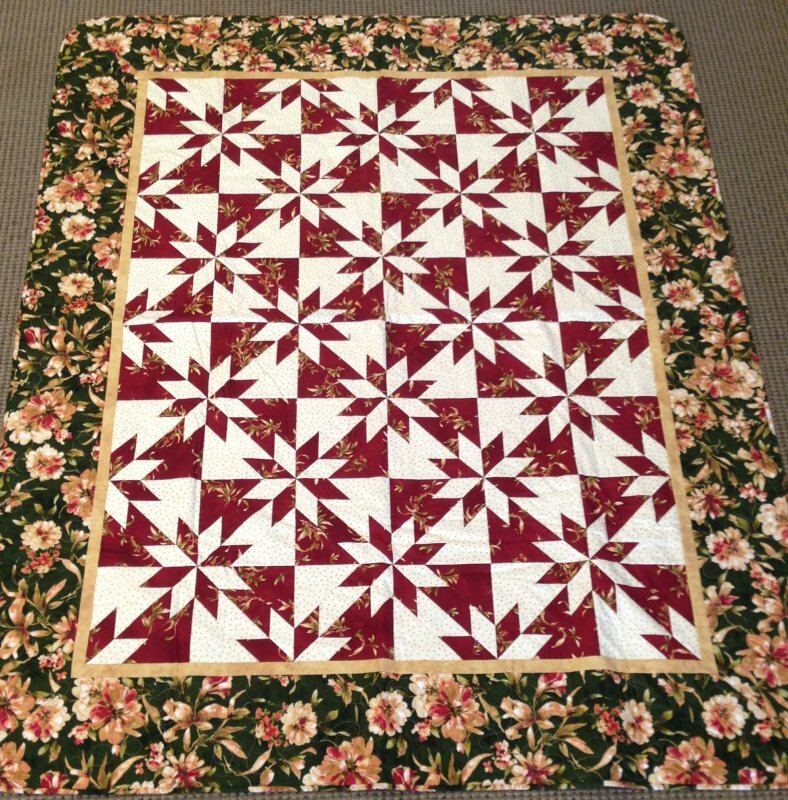 $35 Floral tabletopper (approx. 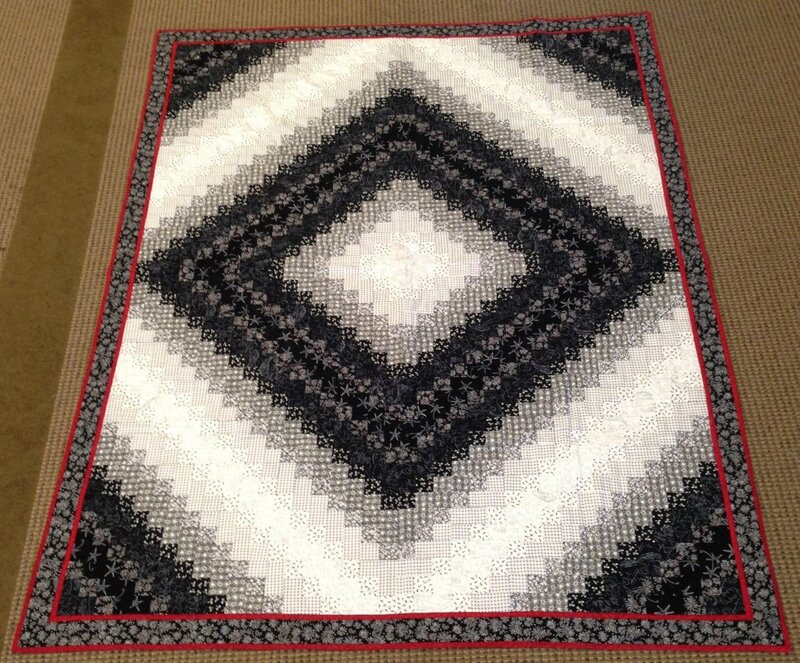 34" square) Just a simple but pretty table topper! Call store for payment and shipping. $200 Home is Where the Heart Is This is the center part of the quilt! All chicken and egg theme. 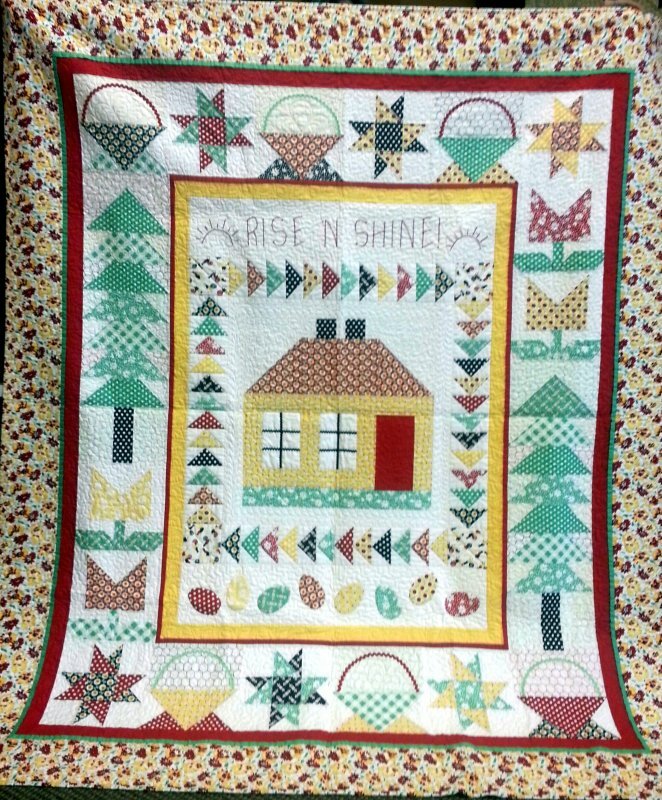 Maywood Studios fabrics with ric rac accents and hand appliqued eggs and lettering. Call store for payment and shipping. 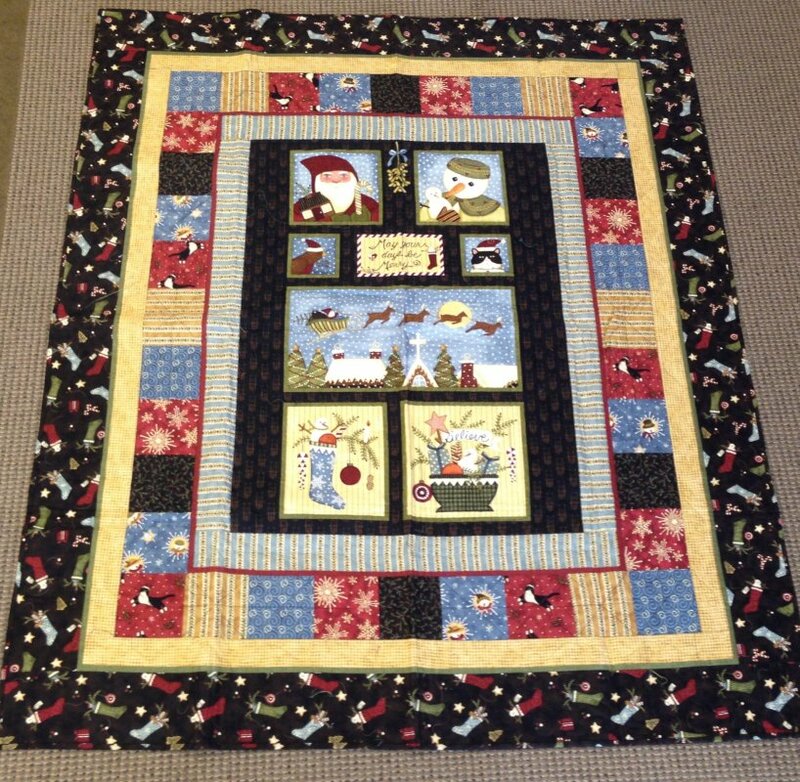 Machine embroidered Tree of Life Quilt (approx. 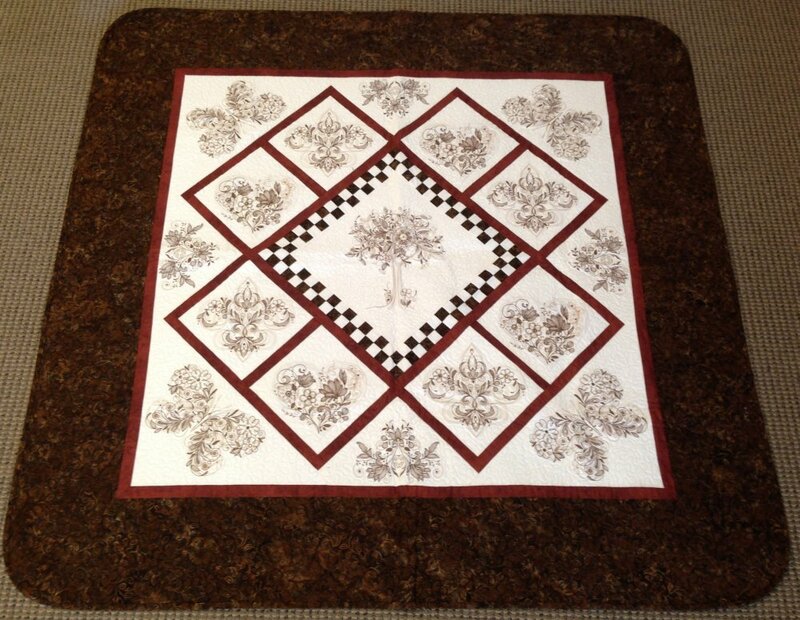 60" square) This is a stunning wall hanging done up in brown batiks and cottons and quilted. Call store for payment and shipping. Machine embroidered Tree of Life Quilt (approx. 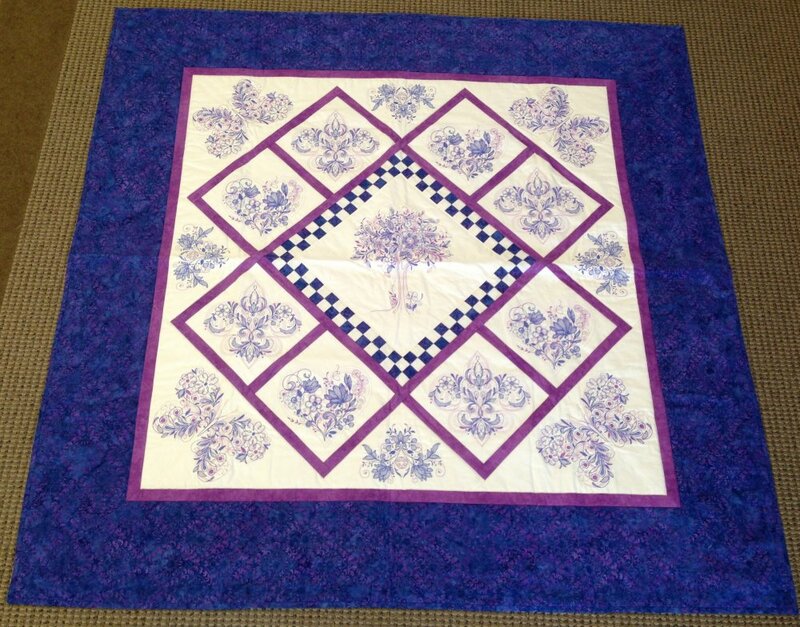 60" square) This is a stunning wall hanging done up in Purple batiks and cottons. Call store for payment and shipping. Gorgeous Frosted Lakehouse fabrics (approx. 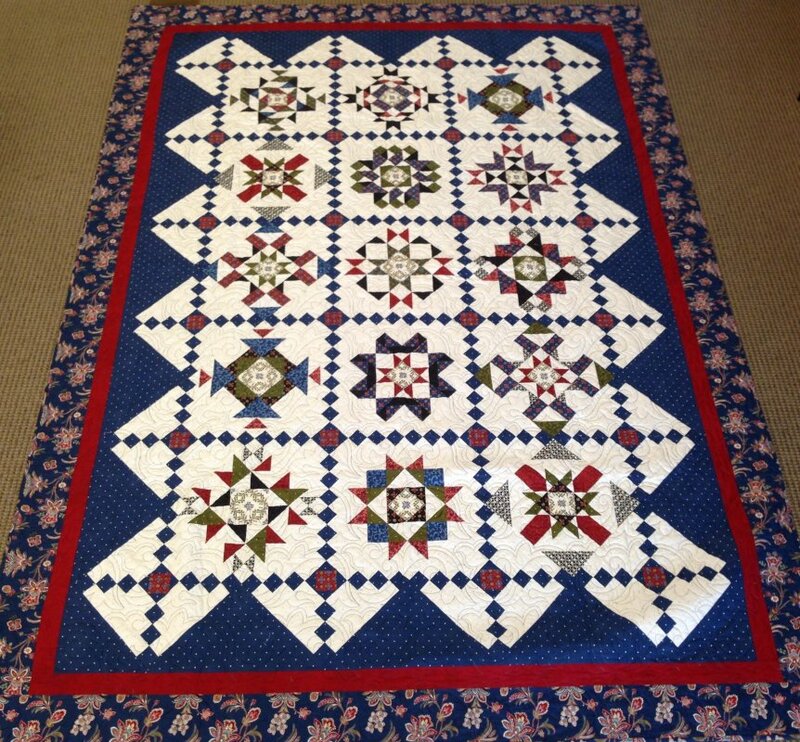 80" x 88") Custom quilted with loops and flowers! Call store for payment and shipping.